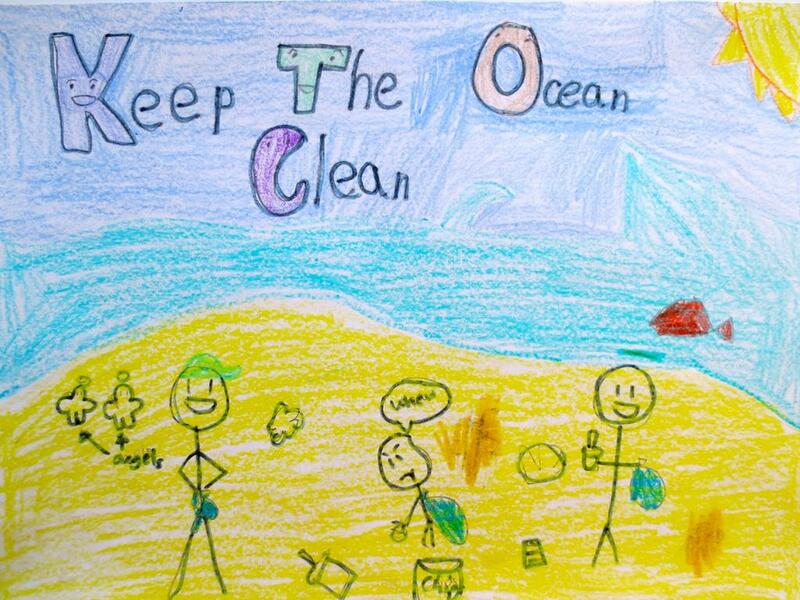 To support the KIDS OCEAN DAY Adopt-A-Beach Clean-Up event on May 15 and to further environmental education in schools across Los Angeles. 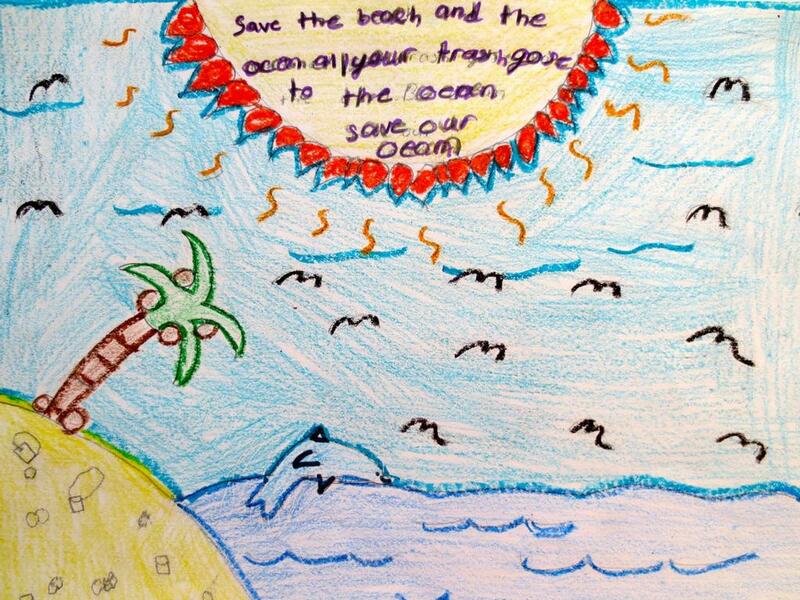 Donors get a gift and our school gets a FREE bus to the beach plus funds for classroom supplies, details below. 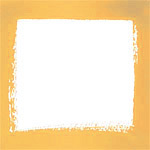 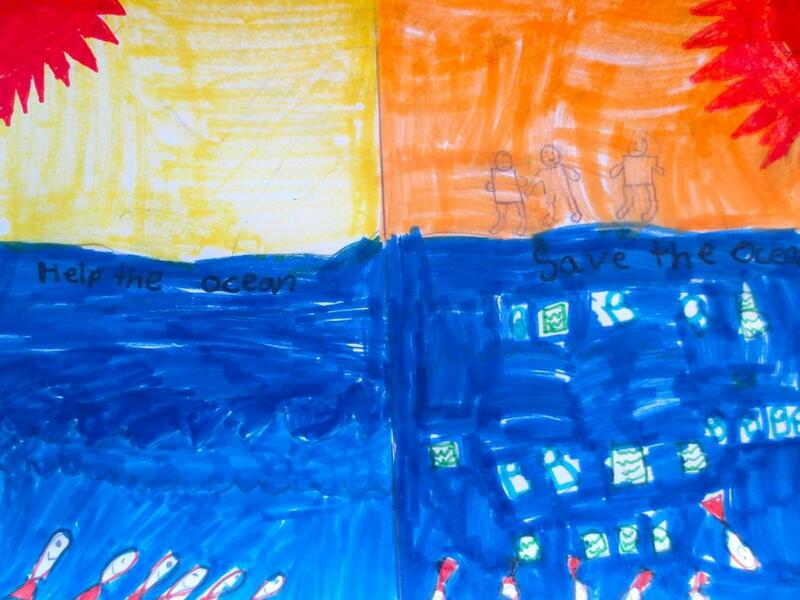 Hope you enjoy our class art gallery! 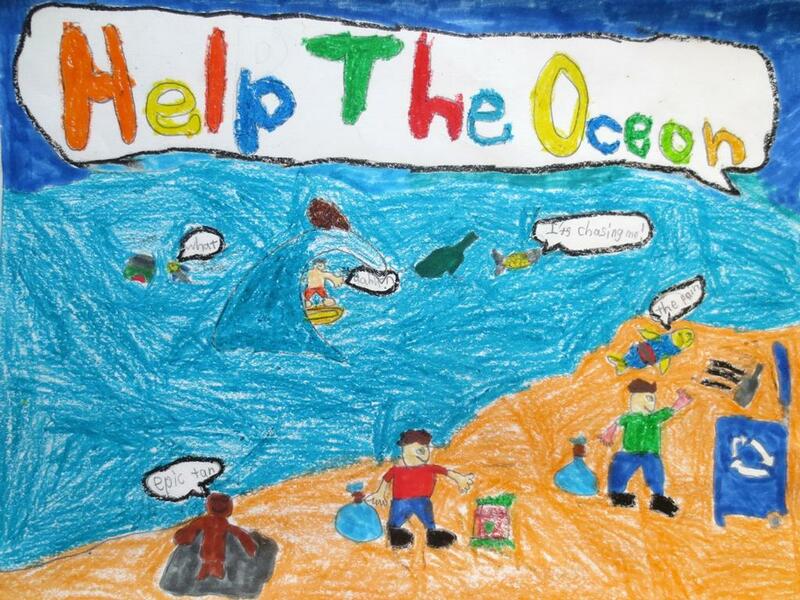 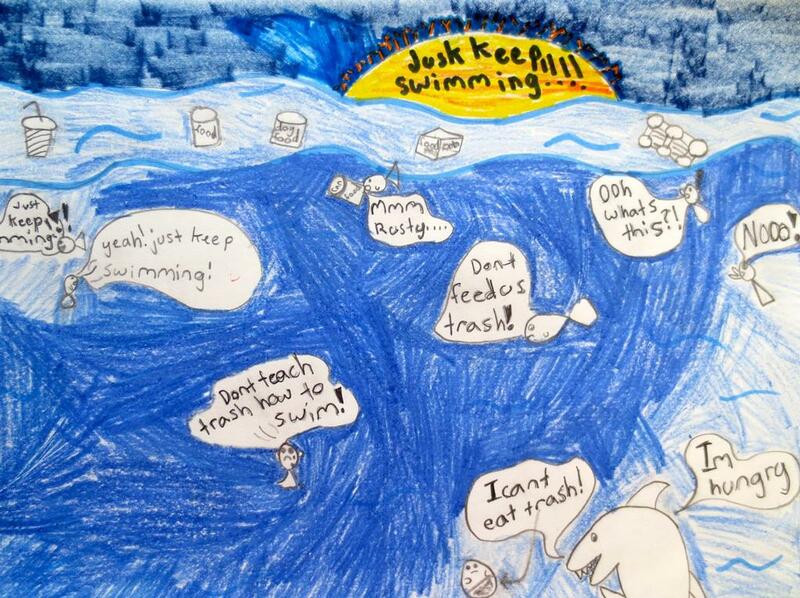 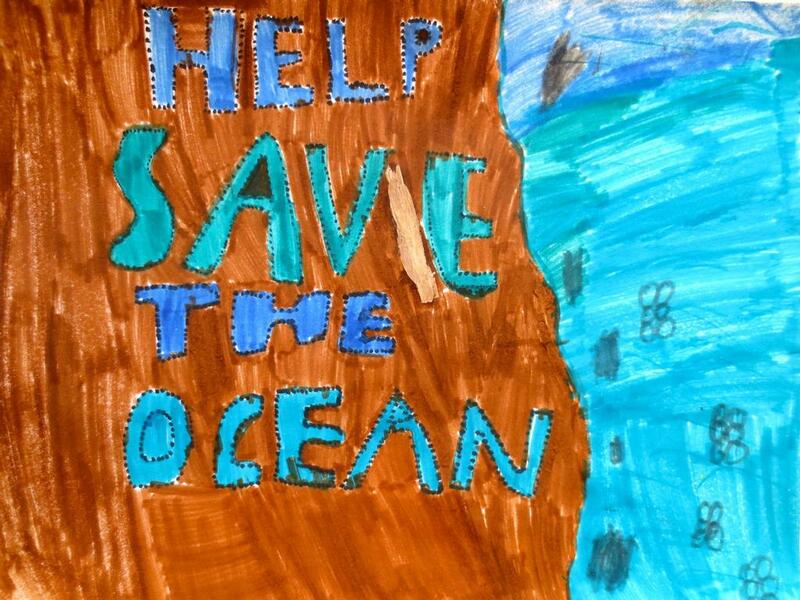 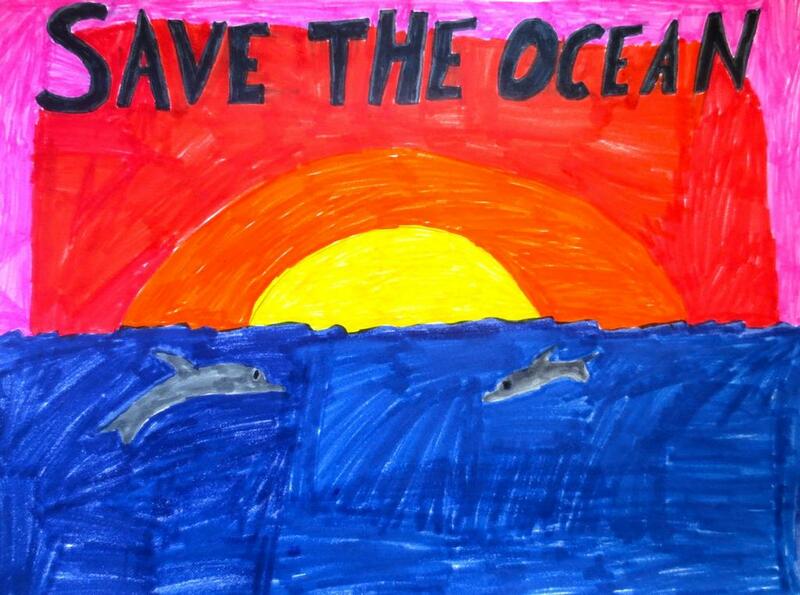 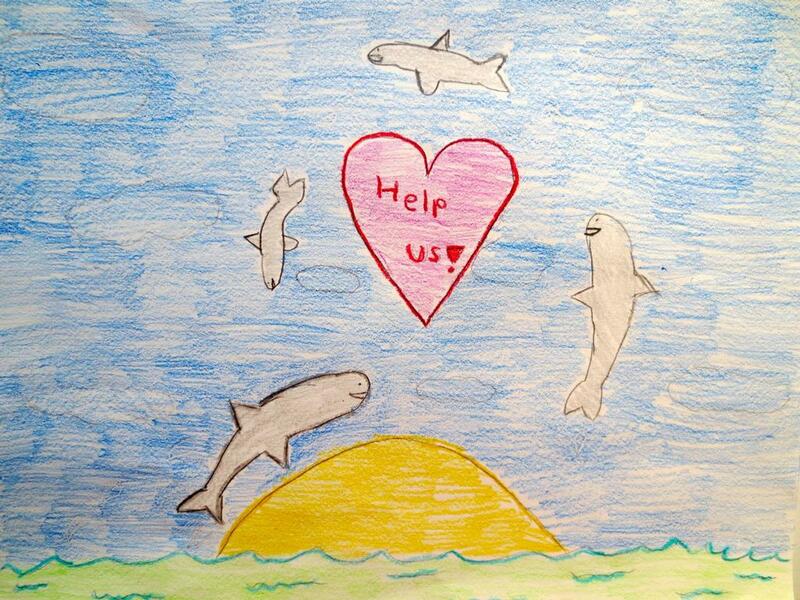 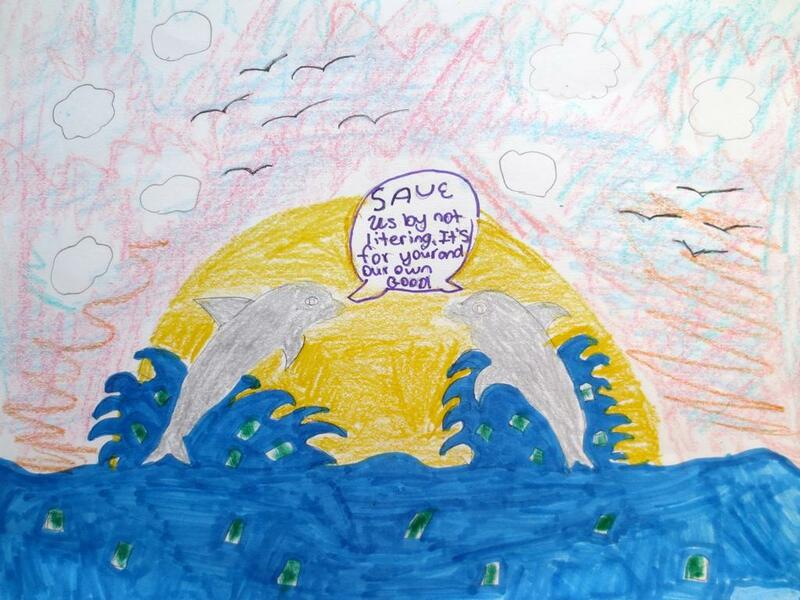 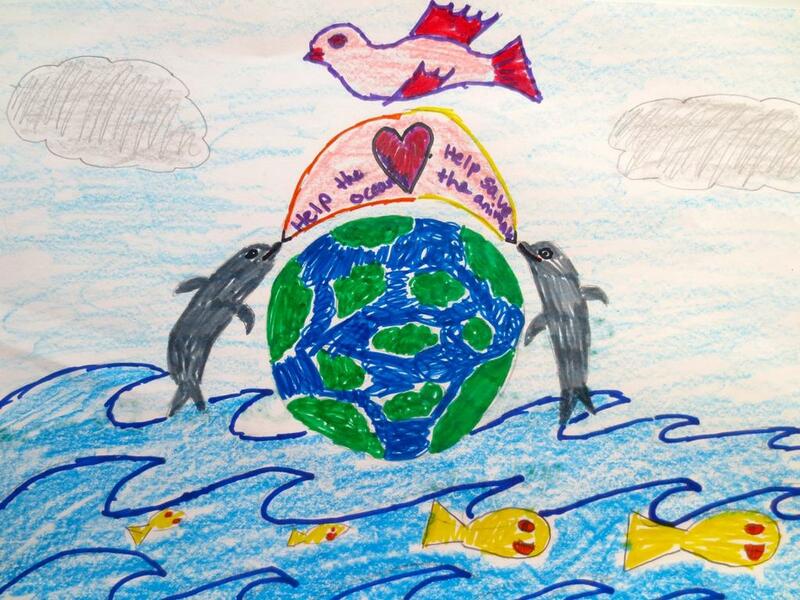 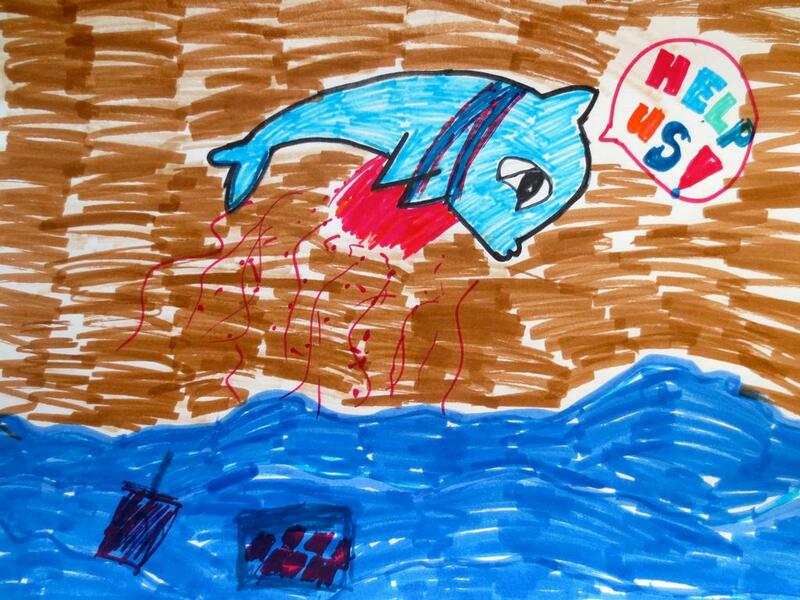 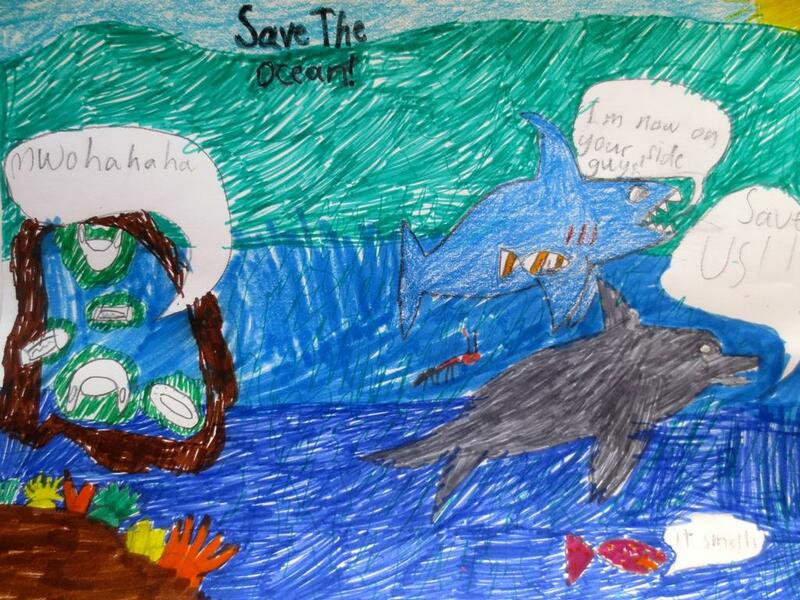 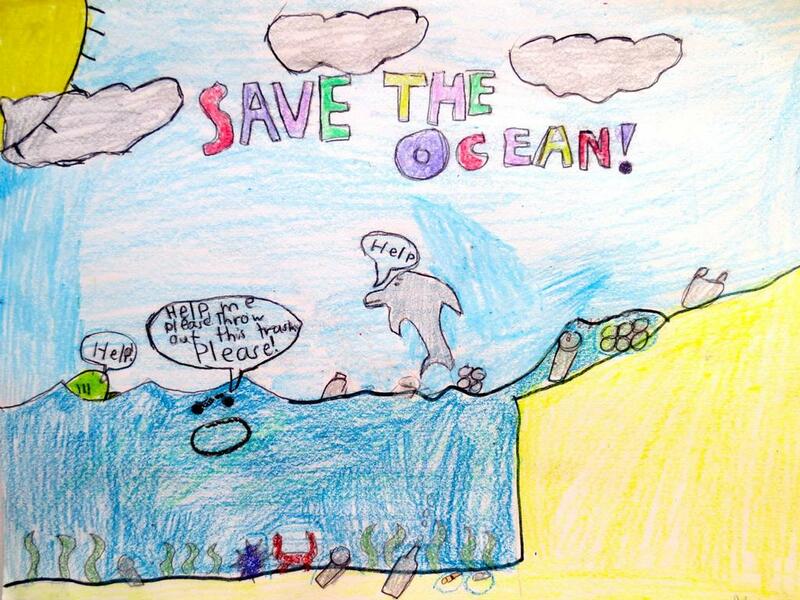 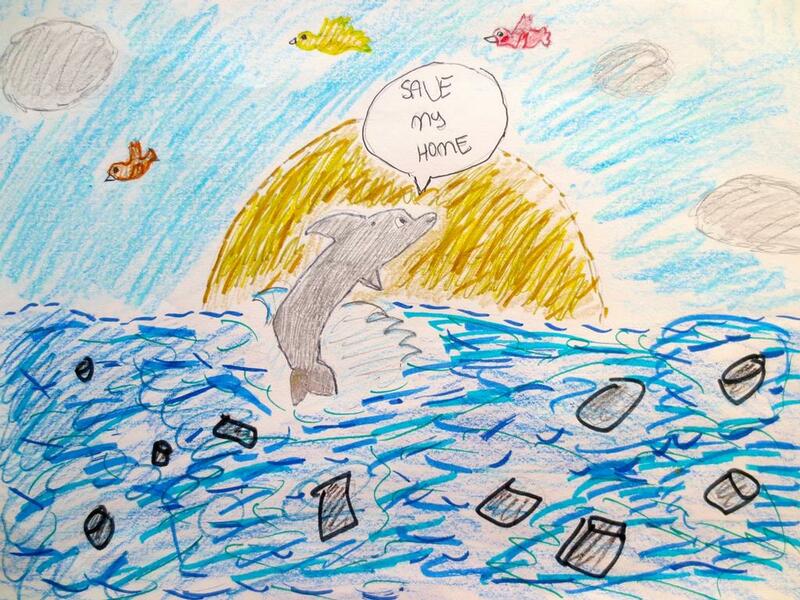 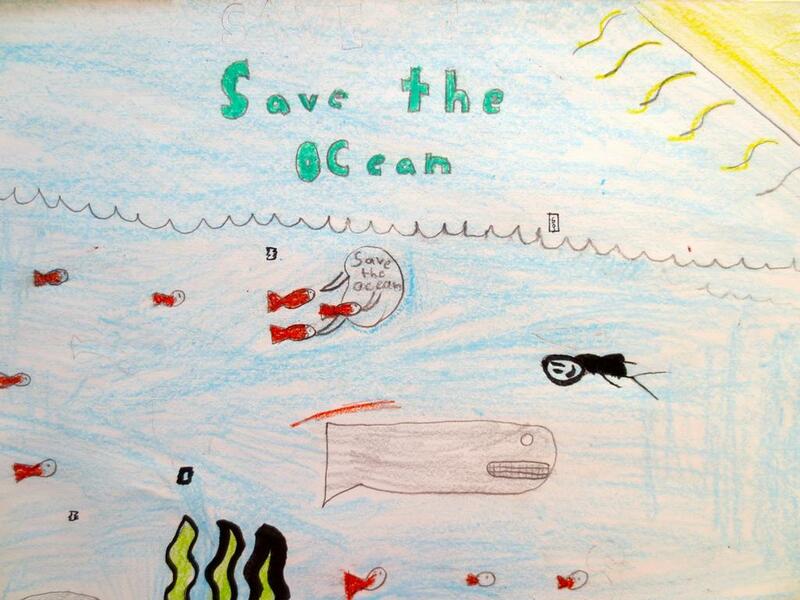 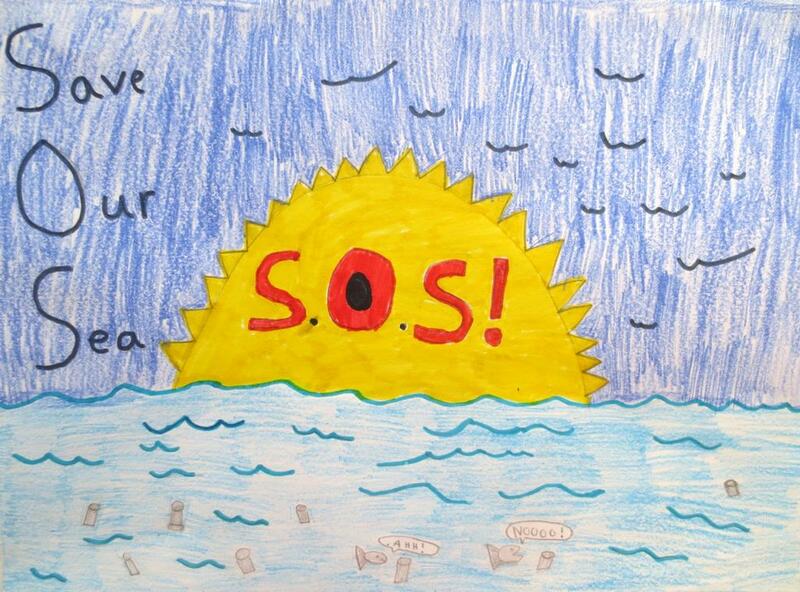 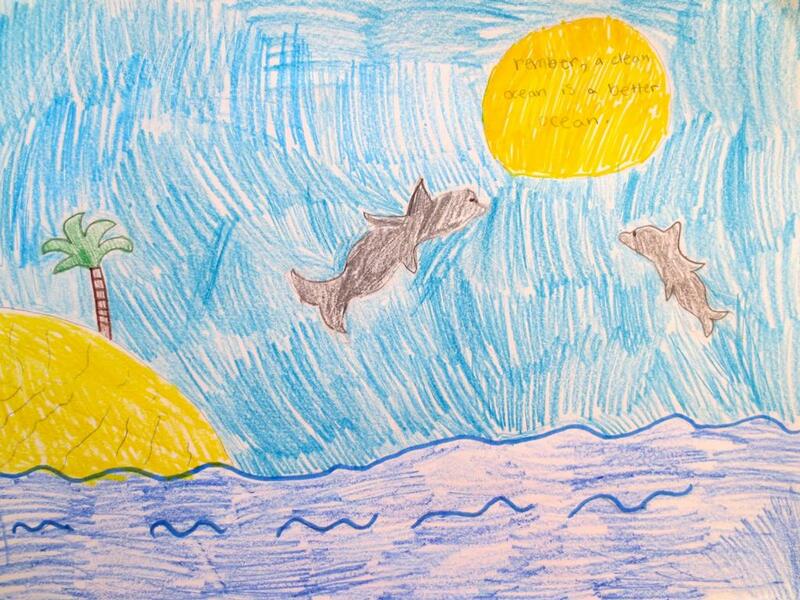 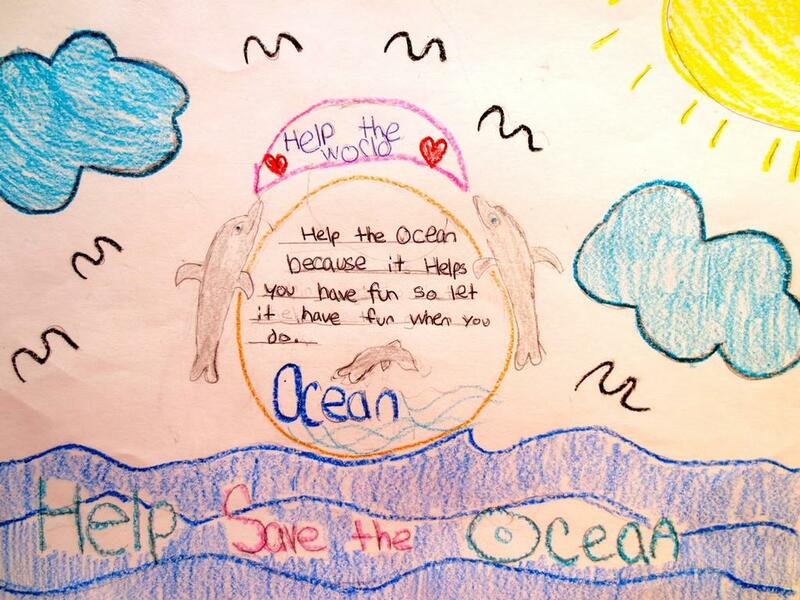 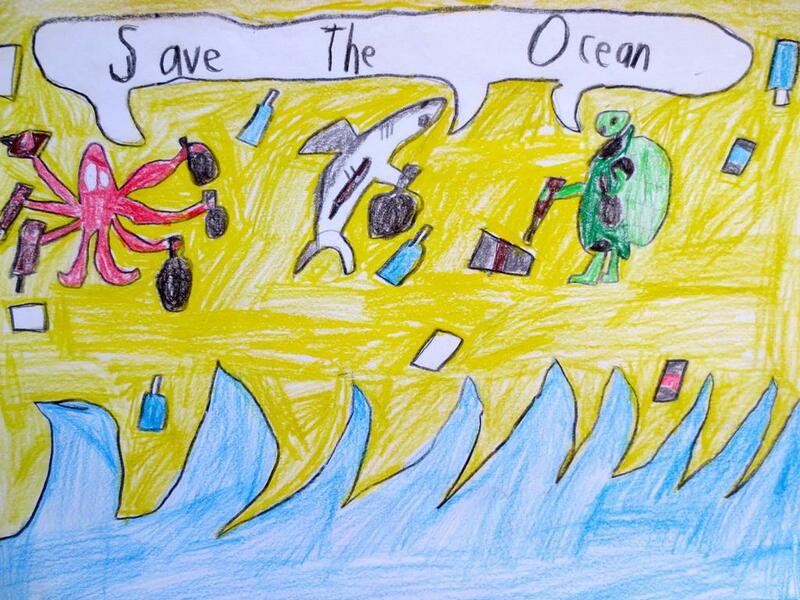 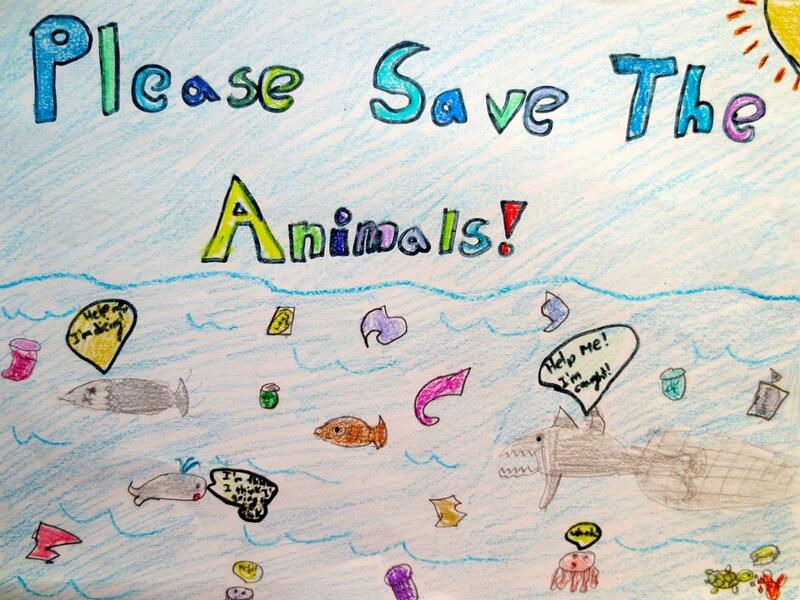 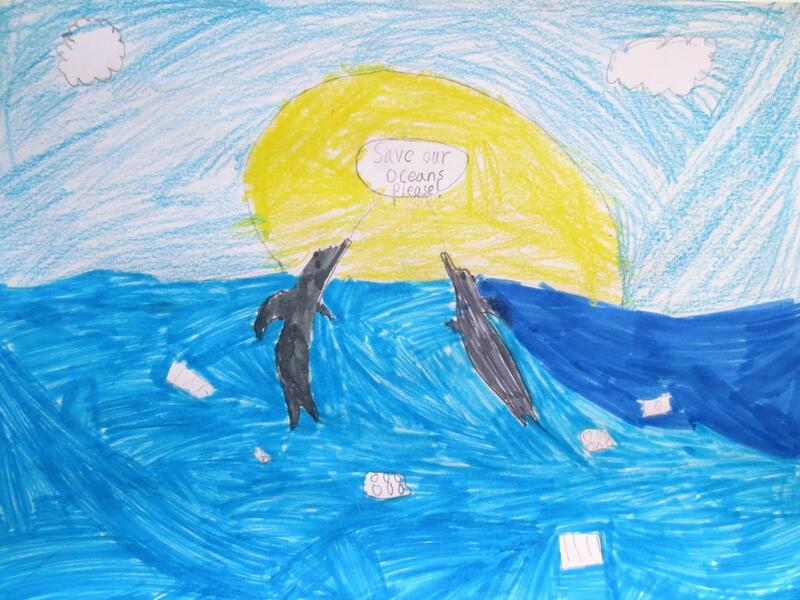 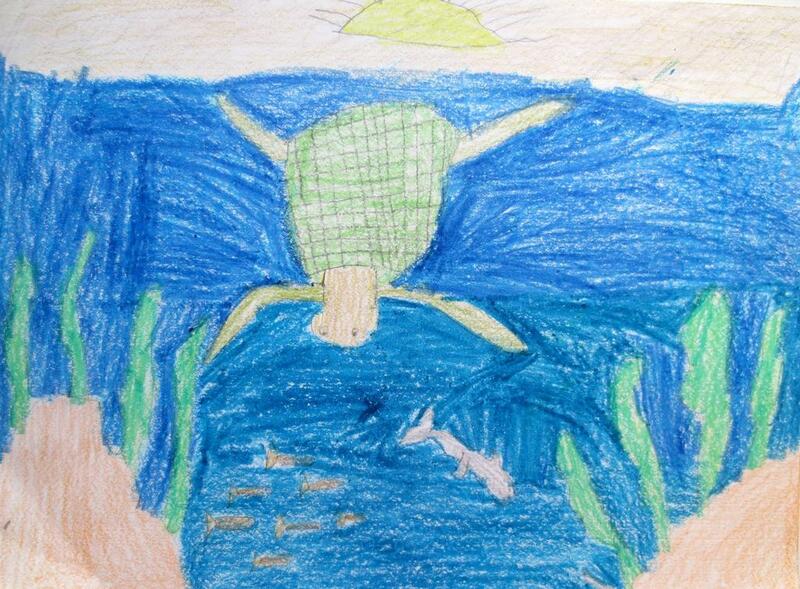 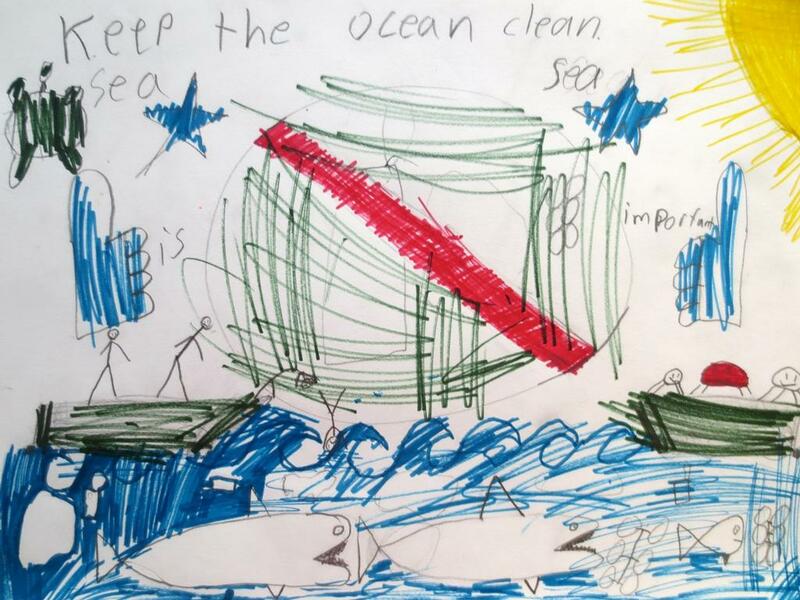 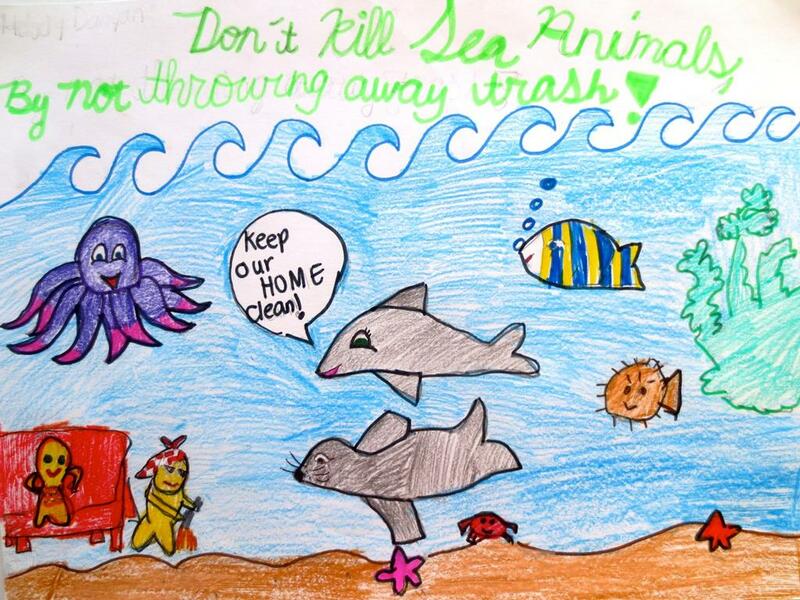 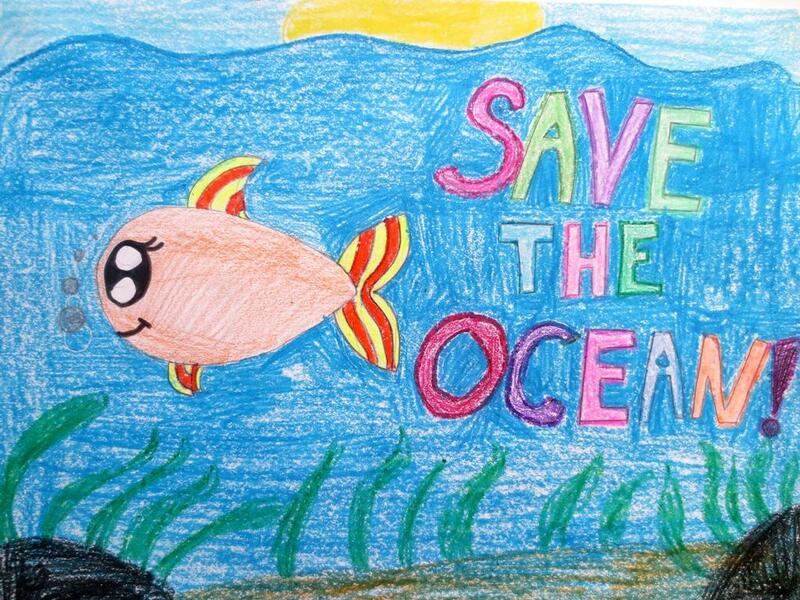 Please help support the KIDS OCEAN DAY program with a donation in any amount and choose a gift printed with the child's artwork you support. 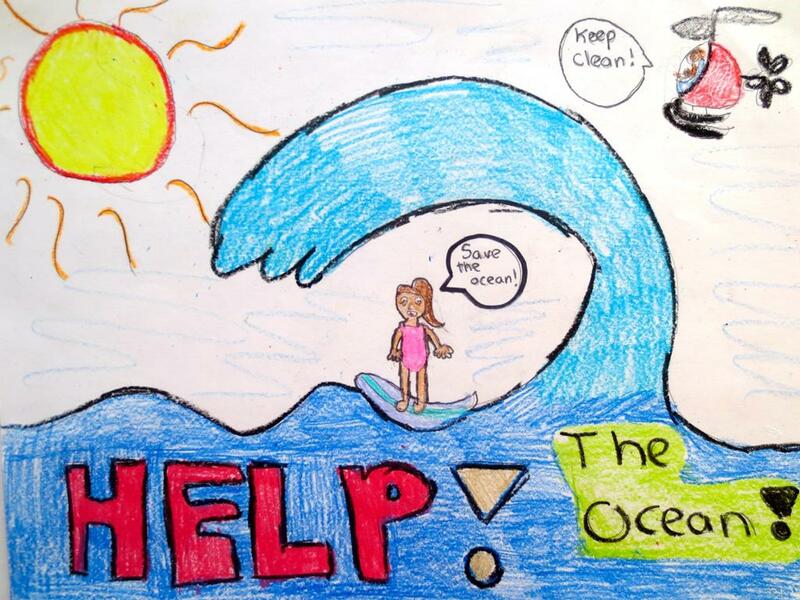 Your donations will help pay for an additional bus to the beach and fund classroom supplies. 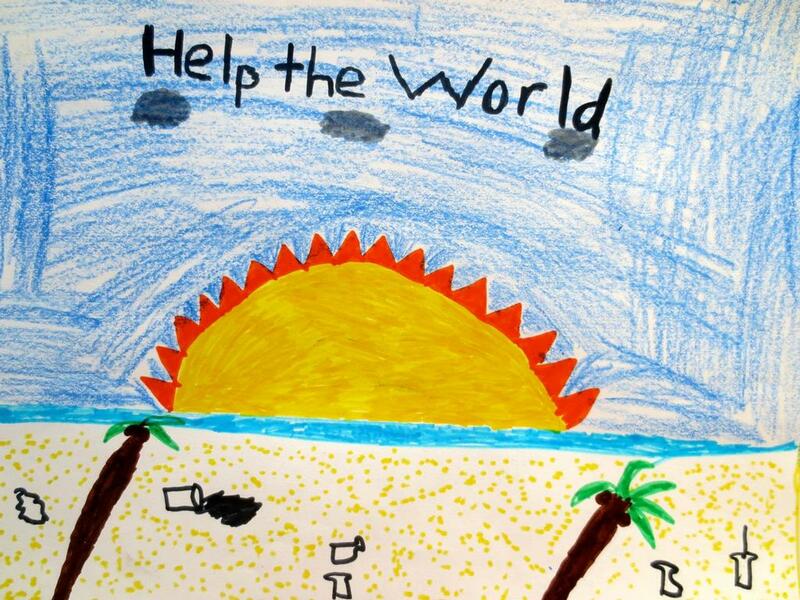 $500 - $50 Staples gift card plus a FREE bus!